Referrer - How did you hear about us? Home / PrestaShop modules / Klanten / Contactformulier & Enquêtes / Referrer - How did you hear about us? module	Referrer - How did you hear about us? 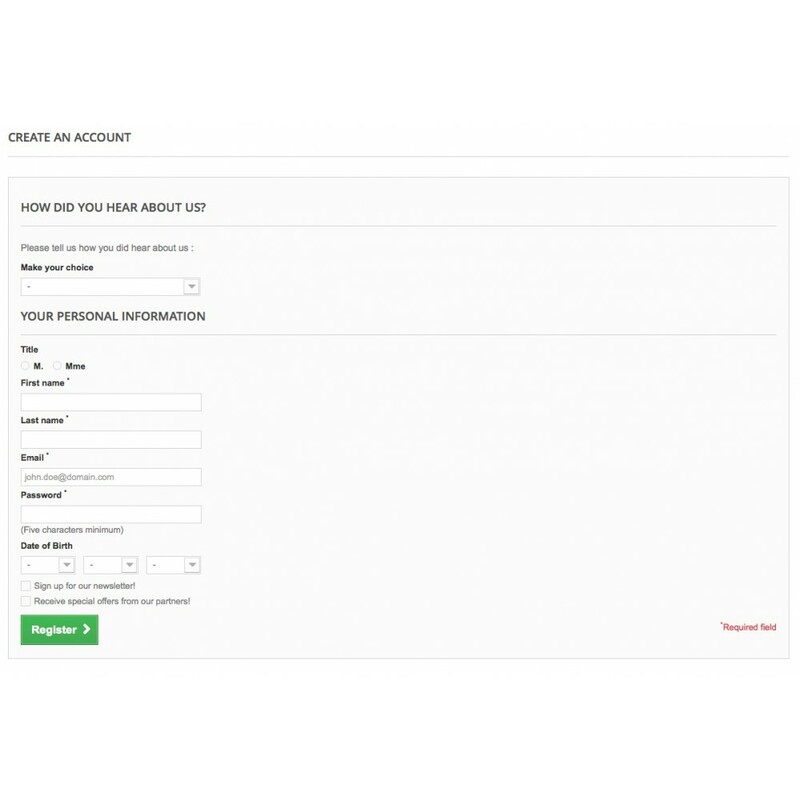 This module allows you to insert a survey on the customer account creation page to let your custom inform you how he did hear about you. He will be able to select a value from a drop-down list or indicate a custom value. If you do start a campain via a specific communication channel (ex: facebook), you will be able to evaluate the impact of this campain on the customer account creation. The statistics allow you to identify the efficient communication channel. Your customer can select a predefined value or indicate their own value. 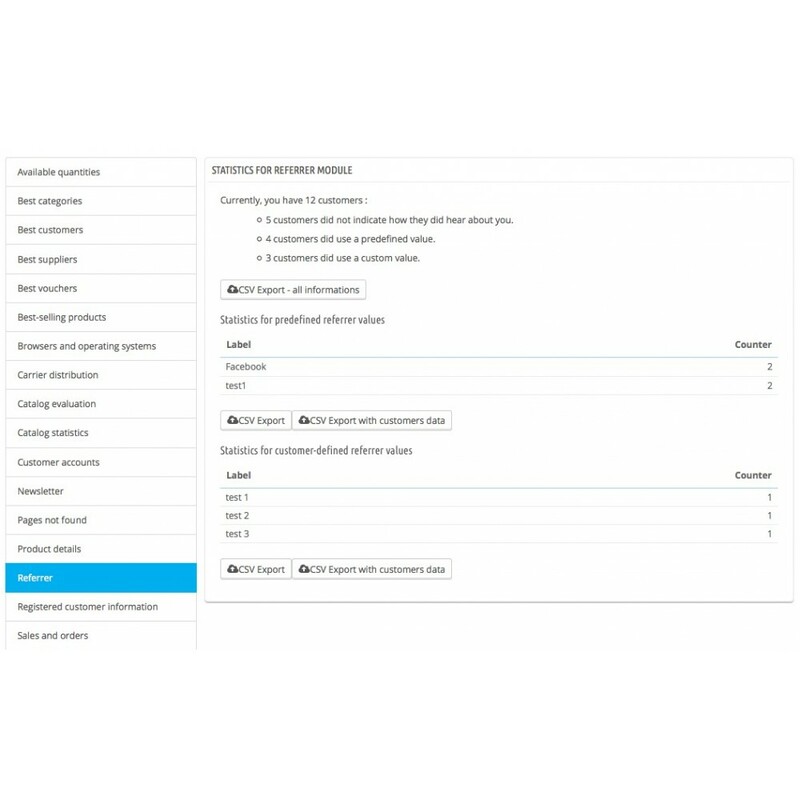 Add an extra section in customer account creation page, standard checkout and one page checkout process to ask the customer to tell you how they did hear about you. 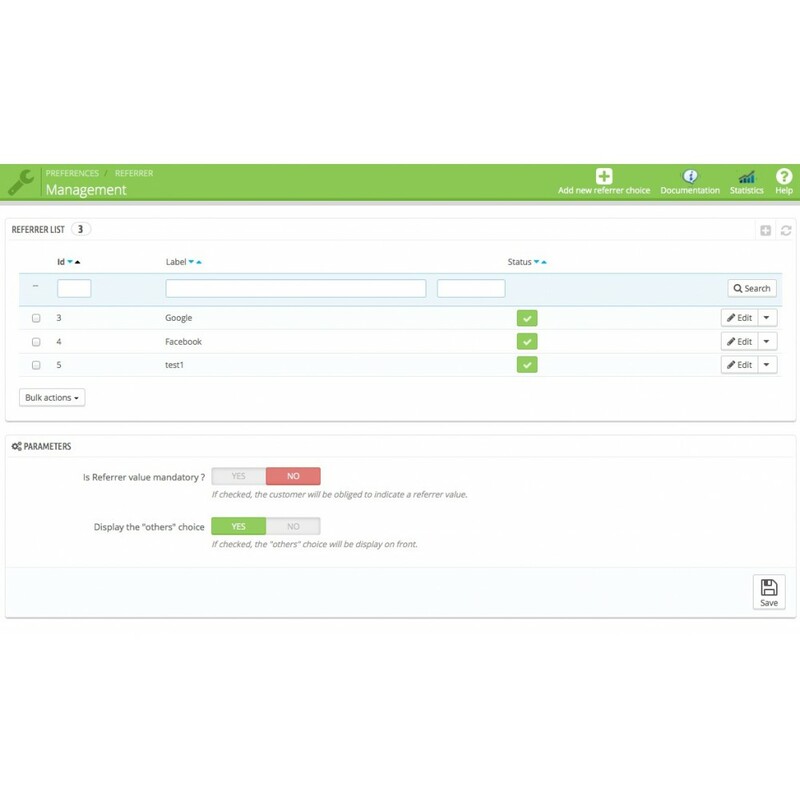 Create your own referrer list. The referrer label is multi-language. The installation guide is included in the module.